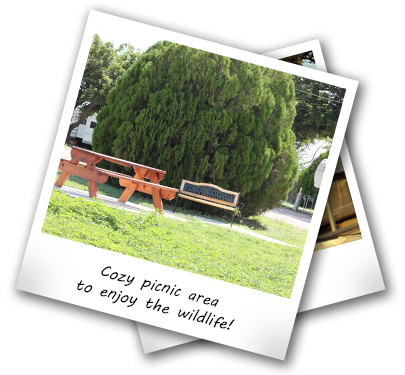 Urban Hidden Acres is an RV and mobile home park located in Pampa, Texas. It is a clean and quiet location situated on 3.6 acres of land. The park includes 25 full service hookups, each space equipped with 30 & 50 amp, water and sewer, as well as a cement patio and a storm shelter. Wildlife can also be seen frequently in the area. 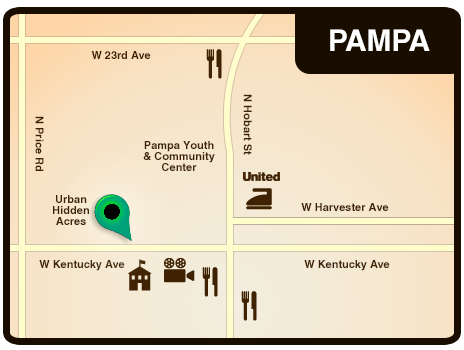 We are conveniently located near these businesses.